These stand alone spacious duplex townhomes, offer 3400 square feet combined and sleeping for family gatherings of 16 to 19 guests. These Grayfox Townhomes on Hillside Dr. have been professionally designed and fully furnished with the finest decor, furniture, bedding, and amenities for your vacation enjoyment. It is equipped with luxury features as found in multi-million dollar custom homes or Five-Star hotels. LOCATION - LOCATION- LOCATION - across from the Westin Monache Hotel , only a 3 minute walk to Mammoth Village and the gondola, ski rentals, ticket office, shops, restaurants, entertainment, coffee shops, and activities... yet in a very private cul-de-sac setting away form the noise and congestion of the village. Each separate living room includes a queen sleeper sofa with added memory foam for comfort. You will enjoy large plasma HD TVs with surround sound system. The gourmet granite kitchens are fully equipped with everything the fussiest chef could ask for. All the appliances are stainless steel. These Grayfox townhomes are two of only six spacious townhomes with a southern view exposure that captures the wonderful mountain lighting and warmth of the winter sun. 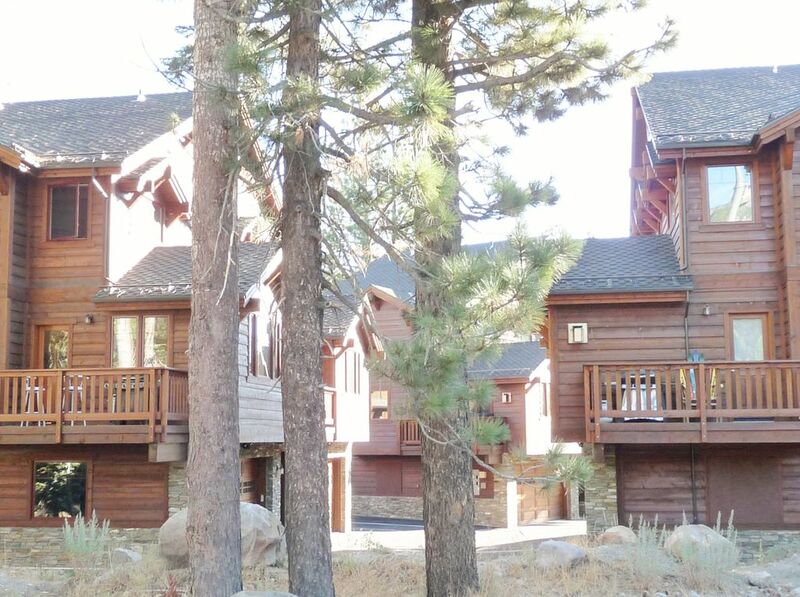 Everything you could possibly ask for is here for a wonderful Sierra vacation experience. In addition to the large, fluffy bath towels and fitted sheets, there are spa quality soaps and shampoos in each full bath. Only 3-5 minutes walk to the Village. Hardwood floors and plush carpet throughout, end units in buildings adjacent to each other on a private cul-de-sac. The units were located right behind the Westin and just a few minutes’ walk to the Village and gondola. The units were spacious and well equipped with everything we needed. The hot tubs on the decks were an added plus. We truly enjoyed our stay and look forward to coming back. Great property. Easy walk to the village. Only negative was one of the shower doors shattered during simple opening. We are glad you enjoyed your stay and the location. We are so sorry the shower door broke. It was a first time. It has been replaced with tempered glass and stoppers to prevent this from every happening again. Thanks for bringing this to our attention. This place is perfect!! The location is great..The house itself is very clean, organized and well kept. The garage was large enough to fit both of our SUVs with plenty of room to move around. The rooms are very spacious and each have a good sized bathroom. The kitchen was well equipped to cook many dinners. We had a great time in this condo, and built lots of fun memories. The best feature of this place are the gracious owners. My daughter misplaced her skiis in the condo and the owners went out of their way to find and mail them back to us in Orange County. We are very grateful to them and their hospitality. I highly recommend this condo and all the kind people associated with this property. Devils PostPile National Monument and Red Meadows a short 15 minute drive, Yosemite National Park 1 hour away. There is parking for 2 vehicles in the garage & yes it will fit an SUV like a Suburban. There is no parking outside in the guest spaces aside of the unit for day or night. (in the winter for snow removal) Vehicles parked in these will be subject to towing at the owner's expense. Extra overnight parking is available at the Mammoth Mountain RV Park. They can be reached for more information.